The Never Summer mountains of northern Colorado form a spine of broad peaks and deep gulches that are known for their deep winter snows. The Never Summer wilderness area is located near the town of Grand Lake, and adjacent to the western border of Rocky Mountain National Park. The Never Summer Mountains all top out over twelve thousand feet in elevation with the tallest being Howard Mountain (12,810 ft.) At these higher altitudes the peaks are above tree line and the climate is similar to that of the far north arctic tundra. Several alpine lakes, Parika Lake, Bowen Lake, Ruby Lake, and Blue Lake lie in bowls beneath the high peaks and east of the Continental Divide. Below tree line, dense forests and unusually large trees take advantage of the plentiful moisture provided by the heavy winter snows. The geography of the wilderness consists of a single range of mountain peaks that run in a north/south direction. 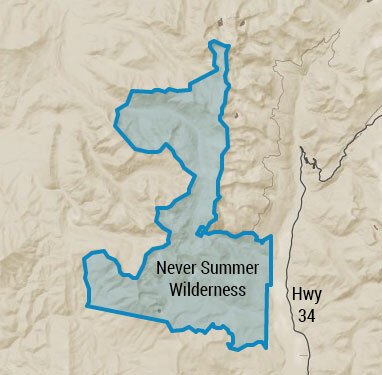 The Never Summer Wilderness boundary abuts Rocky Mountain National Park on the east so that the eastern flanks of the Never Summer range are mostly contained within the national park boundary. In the southern portion, the wilderness boundary deviates to the east to include Bowen and Baker Gulch. This is also the location where the wilderness boundary deviates around the Grand Ditch, a water diversion project that moves water from the Never Summer mountains to water users on the eastern plains of Colorado. 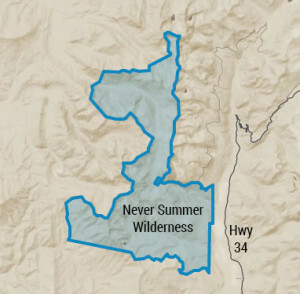 The Never Summer wilderness is located immediately west of Rocky Mountain National Park in northern Colorado. 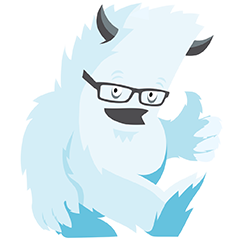 The nearest towns are Grand Lake, Walden, Kremmling, and Estes Park, Colorado. From Grand Lake, the eastern portion of the wilderness is accessed by traveling north on Hwy 34 into Rocky Mountain National Park’s Kawuneeche Valley entrance. Camping – Camping and hiking is permitted in the Never Summer wilderness, however wilderness regulations do apply. Be sure to follow all posted wilderness regulations and all posted signs. Weather Information – Because the Never Summer Wilderness receives high amounts of snowfall, the area is best visited in mid to late summer. In years of heavy snow, some trails may never become completely snow free. In the summer, heavy rains from thunderstorms are common in the early afternoon into late evening. Bowen Gulch Trail – Hike to Bowen Lake perched just below twelve thousand feet elevation at the foot of Cascade Mountain via scenic Bowen Gulch. The trail is moderate to strenuous with a round trip distance just over 16 miles in length.